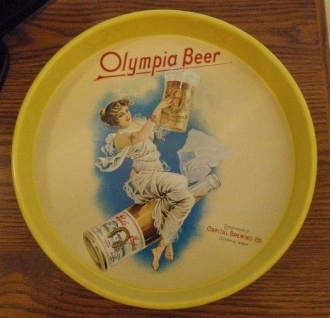 Olympia Beer Tray made by Capitol Brewing Company. The company used old lithos of four girls to make trays in the 1970's. This one used litho from 1900 and it is known as the Capital Brewing. The other three girls are know as 1907, 1909 and 1910.